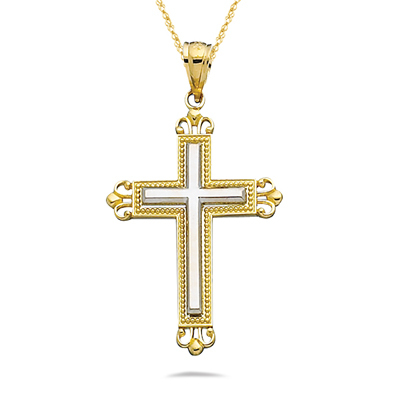 This exotic Two Tone Gold Cross Pendant is crafted in 14K White and Yellow Gold. The pendant comes finished with an 18-inch 14K Yellow Gold Singapore Chain. The effulgence of God is equal to billions of Suns.